Mother's Day is about a month away. What are you going to give the woman who would lift a small car off of you if she had to? Here are a few suggestions of superb, locally made and sourced gifts to remind mom that you're her favorite child. Mom needs a new hobby. 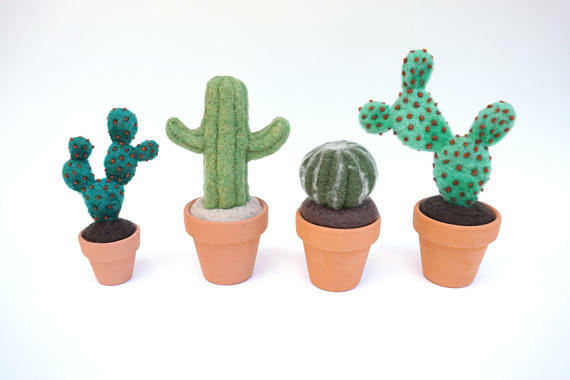 Buy her a "seat" at one of fiber artist Dani Ives's online courses, and Dani will teach her how to create adorable felt cacti. Tip: You should do the course with her! Make sure mom's got a good pair of reading glasses, because she's not going to want to put down this seek-and-find book for grown-ups. I'm a cat mom, and I have tested and approved this. Get it locally at Domestic Domestic or Moxy Modern Mercantile. 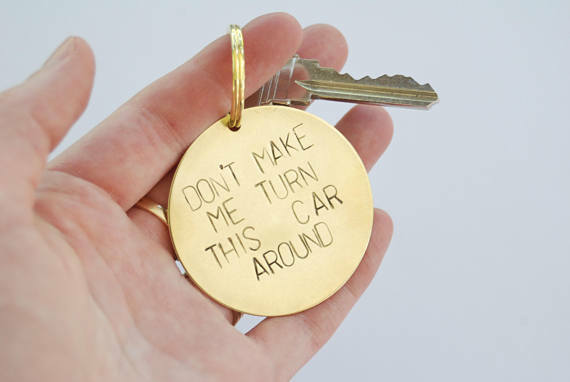 Make mom laugh out loud with this hand-stamped keychain that commemorates all the times she threatened to turn this car around STOP TEASING YOUR SISTER!! Because your mom is funny as H-E-double-hockey-sticks. When she's done burning the candle, she can sip wine in the glass if she drinks a little, too. And with every purchase, Wick Sip Donate gives to animal rescue charities. Don't forget the card! Make mom proud that you included a great card. Cards are everything. And if she likes these a lot (she will), you can order her a whole set of them. Mom loves to help kids. Feed her generous spirit by signing her up for Thea Foundation's Renaissance Club. Thea Foundation advocates the arts in Arkansas schools, and their new monthly or annual giving program comes with great perks, like these paintbrush pens and free entrance to art exhibitions. Because she fiercely protected her cubs. Mom will love this funny, adorable little nod her to strength. And c'mon... she had to be reallllllly tough to raise you. Feed mom's nurturing spirit with a pretty plant she can cherish and care for. And give it your personal touch. 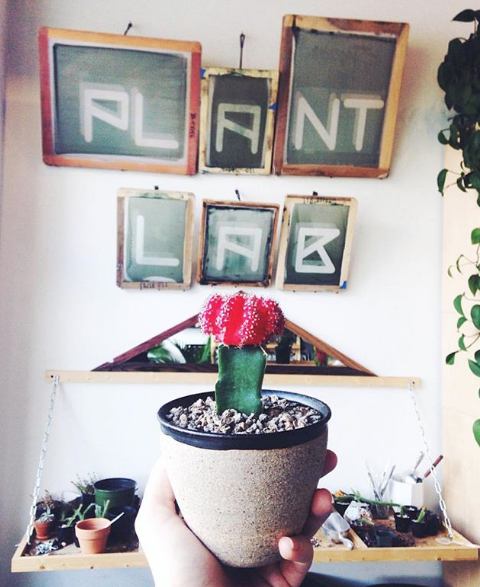 Head to Electric Ghost in downtown Little Rock, and you can choose your plant and your pot and build something beautiful right there with the expertise of their staff. Have you tasted these yet? You haven't? Then what are you doing with your life? Get thee to Loblolly immediately and order one of these massive, amazing, oatmeal cream pies. And get some for mom. She will somehow love you more than she already does. I've been buying Bathhouse Soapery soaps, scrubs, lotions and more for years. There is a reason why this bath shop is opening new locations right and left. Everything owner Charlene Simon makes is pure, bubbly gold. My go-to is the Bathhouse Couture scent. Again, cat mom tested and approved. Let mom show off her wild side with a handmade "glamfestation" brooch by Krystal Bijoux. 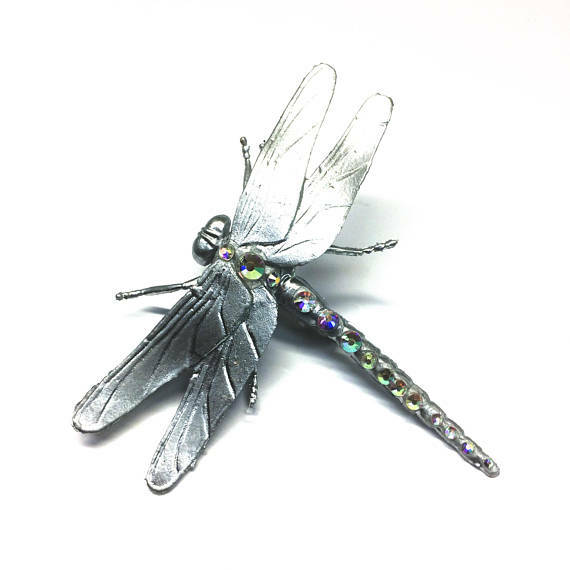 Krystal Bijoux has literally HUNDREDS of brooches and other sparkly things on her Etsy page right now. Fly over there! 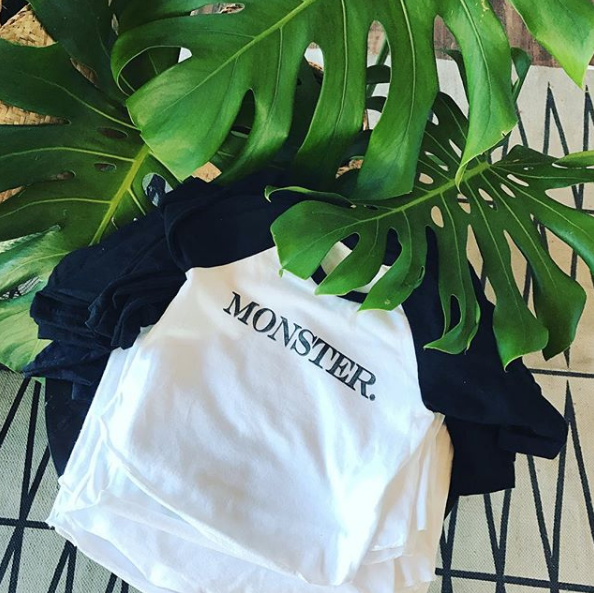 For the new(ish) mom and her little monster. At least tantrums will be kind of funny when they're wearing this shirt. Creating the Nasty Women Unite Pin, Not Today Satan Necklace, Smash the Patriarchy Pin, and custom brass jewelry to benefit Arkansas nonprofits were just a few highlights in this feminist Arkansas jewelry maker's year. Thanks for your support in 2016! When I ran that "Top Nine" app on Instagram for 2016, my most-liked posts were all sad (in retrospect) posts about the garbage election. So, I chose my own top nine to commemorate the standout moments of arguably everyone's worst year ever. Here are some of the precious moments that, for me, saved 2016 from being a completely unpolishable turd. With your help, I raised $1,295 for Arkansas Women's Outreach with my Strong as Hell Bracelet. Yay for the power of handmade feminist jewelry! Thanks to everyone's generous support of my Strong As Hell Bracelet for Arkansas Women's Outreach, I was able to raise $1,295 for the nonprofit that provides feminine hygiene supplies and support for homeless women in Arkansas. I was also able to donate $106 to AVAC (AIDS Vaccine Advocacy Coalition) in George Michael's memory through BUB sales. Throughout the year, I was able to provide auction items to support Lucie's Place, the Arkansas Symphony Orchestra, and Rescue Road animal rescue. And by partnering with Get Bullish and The Outrage, money from the sale of BUB products was donated to Planned Parenthood, the ACLU, and Malala Fund. World-famous illustrator Sally Nixon helped me bring my coffin heart pin design to life. In January, Sally Nixon helped me bring my first enamel pin idea to life! Special thanks to Sally for shining up my rough draft better than I could imagine. Snag your Eternal Love coffin heart pin here. Congrats to Adam and Shelley, who used my custom handmade jewelry in their engagement. They drove to the Grand Canyon for the proposal! 3.) I Helped With a Proposal! Adam and Shelley drove to the Grand Canyon, where he popped the question using a handful of BUB jewelry and a stunning engagement ring. Congrats, you two! Read more about it here. I'm still so excited that I got to make dozens of these feminist handmade necklaces that say "Smash the Patriarchy" for a feminist wedding. We should all have feminist weddings. I'm always open to make feminist wedding favors! Speaking of weddings, last summer I stamped dozens of these to be wedding favors at a feminist wedding. I still die of shock and am completely flattered anytime someone wants me to be part of their big day! In 2016, I created the Smash the Patriarchy pin. This feminist enamel pin has been all over the world now and is still going strong. Choosing a favorite design is like choosing a favorite child, but if I had to pick, it would be this little hammer Smash the Patriarchy pin that's closest to my heart. Special thanks to Ashlee Nobel for taking my rough draft and creating something so smashing! Thank you for voting Bang-Up Betty best handmade jewelry in Arkansas! Thank you, thank you, THANK YOU for voting me best artisan crafter for handmade jewelry in the Arkansas Times 2016 Best of Arkansas. It was seriously such a surprise and honor! Watching y'all post pics at the polls while wearing Bang-Up Betty handmade jewelry and enamel pins rocked my world. I can't not mention the dumpster fire election. While the outcome is a nightmare I never wake up from, I still remember every wonderful second I spent in that booth voting for a woman for president for the first time in my life. Hopefully I get to do it again. Did I mention that I made this Party Hard bracelet for Andrew W.K. and gave it to him in person and fangirled when he put it on??? 8.) I Met Andrew W.K. Last fall I met Andrew W.K. and gave him this bracelet. And he Instagrammed it. And he listened to me talk about my big brother. It was so party. Making this Nasty Women Unite pin was so empowering for me, and I'm so happy that this feminist enamel pin has made it onto the lapels of patriarchy smashers across the world. A few months ago, a sweet soul named Rebecca reached out to me about her new website to promote feminist messages while funding feminist causes. It's been fantastic watching The Outrage blossom, and I'm thrilled to introduce three enamel pins I created exclusively for them. This Nasty Women Unite pin came first, and I'll be announcing the other two later this week.